Professional UML deployment diagram software with rich examples and template. Edraw is ideal for software designers and software developers who need to draw UML deployment Diagrams. UML deployment diagram is an implementation diagram that shows the structure of a run-time system. From it, you can learn about the physical relationships among software and hardware components and the distribution of components to processing nodes. Use a deployment diagram to show the structure of the run-time system and communicate how the hardware and software elements that make up an application will be configured and deployed. Edraw is ideal for software designers and software developers who need to draw UML deployment diagrams. Check it out by clicking this link UML Deployment Diagram. 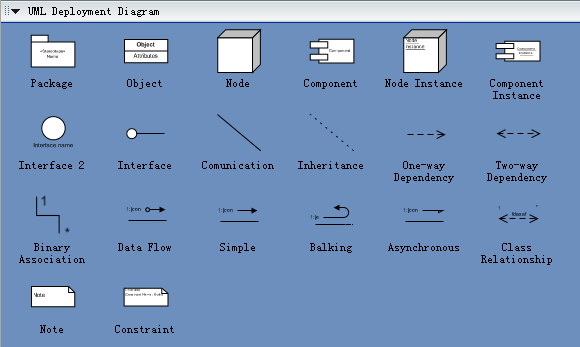 In Edraw Professional, the UML Deployment Diagrams templates and shapes are in the Software folder.